Oh boy, was I a bad blog hopper last week. My internet was having fits. I had every intention of catching up during the week, but the deep freeze meant I spent a great spent most of my time in the barn or curled up in front of the furnace. Hopefully this week everything will according to plan and everything will be smooth sailing. 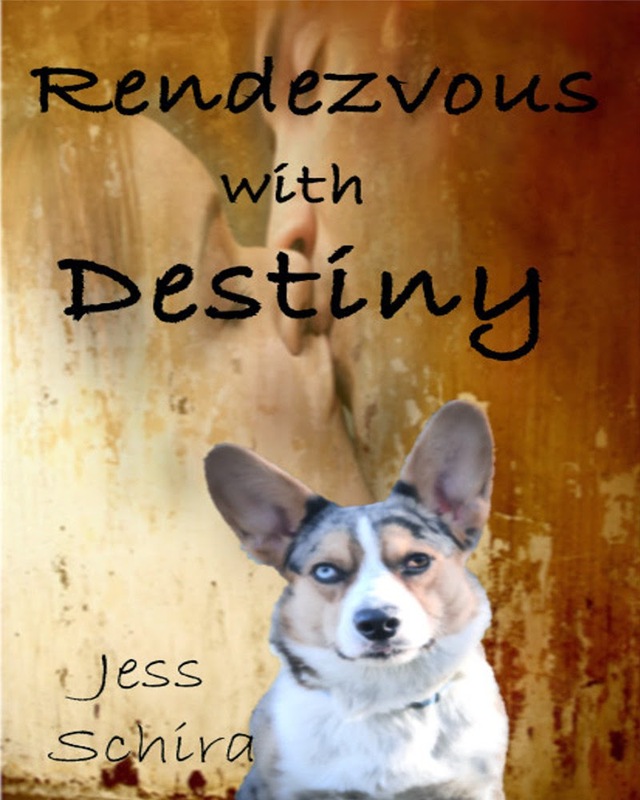 This week I'm posting from my newly published novella, Rendezvous with Destiny. It just so happens that I'm running a FREE PROMOTION today and tomorrow, so if you like the snippet, feel free to download Rendezvous to your Kindle after you've spent a little time checking out the talented group of authors taking part in this week's WeWriWa blog hop. Waves of ice cold shock swept over Theo. Mrs. Dietrich, the woman who fed him chocolate cookies every time she pulled a sliver from his finger, the woman who’d tended him through every sickness and illness he’d had, the woman he loved as much as his own mother: a war spy and traitor. Oh boy...your own mom a spy? For the enemy? Yikes! Say it ain't so Jess! Lots of tension in this scene. Just got mycopy. Thanks Gem! I hope you like it! Shocking eight. How much can a person stand.? Wonderful snippet. Oh no! Poor Theo. Lots of info, lots of tension. Great job! Wow! I'd be shocked too. I'm hoping she's not really a spy, for Theo's sake at least. Great eight, Jess. The details about cookies and how she took care of him underscore his shock beautifully! Awww, thank you Kate. You're such a sweetie! Perhaps her name makes them think so. I hope not if he's so attached to her. Nice reaction for Theo. Ooh nice eight. A spy. I kind of like that. Thanks! It turns out I get bored writing straight romances. I'm glad you like the twist! Great details and emotion. Eager to read more! Sometimes nice people do terrible things... or terrible people are good at pretending to be nice. But I hope for the sake of his broken heart that it's a mistake. Well said! I'm also a big fan of people making the wrong choices for the right reasons. Well that's certainly an interesting twist! I hope for his sake the story is wrong...you got me all wrapped up in the story in just a few sentences - great 8! Thanks Veronica! Strong praise indeed! Very strong turning point, Jess! That would surely be shocking news. Great snippet. The little details - like chocolate chip cookies add so much to the confusion - great 8. Great tension felt in this snippet. Good job. Wow! You managed to really make us feel the emotional punch in the gut in very few lines. Nice choices of details.